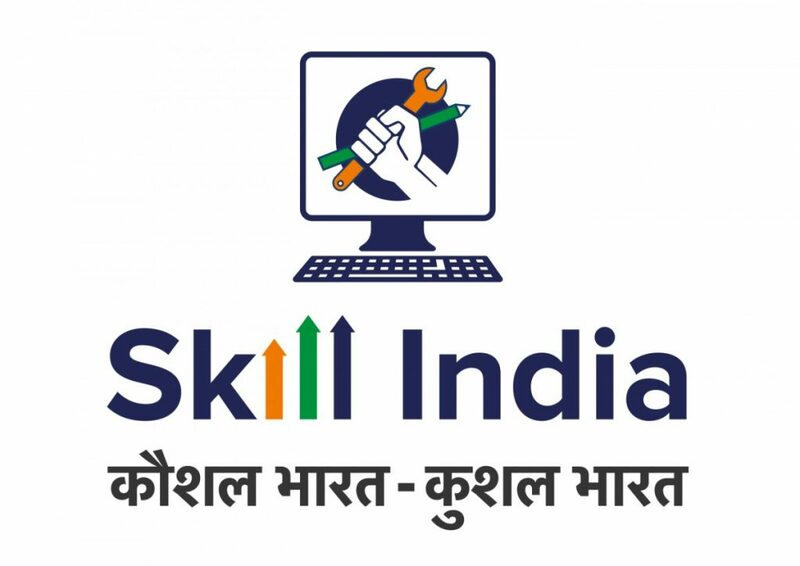 Skill India Now Has a Single Regulator. Will It Succeed Where Other Bodies Have Failed? Regulation of the skill development industry has been a mess. National Council for Vocational Education and Training, the new entity, should work to cut through the clutter. The Cabinet recently approved the merger of existing regulatory institutions in the skill development industry – National Council for Vocational Training (NCVT) and National Skill Development Agency (NSDA) – to establish a new National Council for Vocational Education and Training (NCVET). This means we now have one regulator in the country instead of multiple. One main lacuna in skill development has been fragmentation of the ecosystem. There is duplication of roles and responsibilities of different agencies. 5) The skill development schemes of the Centre’s sixteen ministries. While introducing greater coordination, we should work for standards that are not only nationally acceptable but also internationally comparable. The government’s decision to create a single regulator is a welcome step in the right direction. However, its success lies in thoroughly understanding past mistakes. While introducing greater coordination, we should work for standards that are not only nationally acceptable but also internationally comparable. The primary role of the NSDA (created in 2014) has been to anchor and operationalise the National Skills Qualification Framework (NSQF) and to ensure that quality and standards meet sector-specific requirements. The NSDA has not been very effective – not because it did not have statutory powers, but because it never used its powers adequately. Powers were provided to it in the NSQF notification of 2013, but it depended too much on NSDC to implement them. Meanwhile, the NCVT was set up in 1956, as an advisory body to maintain uniformity in standards of training. NCVT has played an anchor role in curriculum development for short and long-term courses and created norms and standards of schemes (essentially the system of public and private Industrial Training Institutes) under Directorate General of Training (DGT). However, along the way, NCVT was relegated to the background and did not get the recognition it deserved. Finally, it is being closely integrated to its newer counterpart. Hopefully, it will lend its rich experience to the new entity – the National Council for Vocational Education and Training. One problem of NSDA has been that it functioned through very few regular staff, only a dozen short-term consultants. What the new NCVET needs is an organisational structure that encourages domain experts with experience of industry (with a training background) and academia to work for it. NCVET has its task cut out – to provide a strong oversight mechanism for outcomes of Skill India. NSDC’s primary role was and is to incubate private standalone vocational training providers (VTPs) to conduct training of youth through 3-4 month courses. These VTPs have no role as employers of those they train; herein lies the rub. NSDC (when it was created by the Ministry of Finance in 2010), was and is a Non Banking Financial Company. However, it is exempt from Reserve Bank of India (RBI) oversight on its incorporation, as an exception since the Ministry of Finance then vouched to provide oversight. NSDC must now focus on this key role of raising private sector funding and participation for Skill India programmes,and not be 99% dependent on government funding as it has done in the past. NCVET should ensure that India now gets private industry (meaning employer) participation through NSDC to help modernise, expand and diversify the courses in all pillars of the skill ecosystem (mentioned earlier) and ensure quality in the vocational training providers so that they can meet the exact skill needs of employers. A foundational problem that NCVET will encounter is how to deal with the 6,000 odd private VTPs incubated by NSDC, who only offer short-term courses, whose placement success rate has been consistently poor. NCVT awards certificates to pass out candidates under different schemes of the DGT, mainly the ITIs. This assessment and certification role of NCVT has no direct overlap with NSDA as NSDA does not award any certifications. Over the years NCVT certification has gained brand value and hence must be further built on. In case, the identities of the two bodies are changed, it would be inappropriate for the new regulator (NCVET) to give certificates at ITIs but leave certifications for NSDC-supported courses to the 38+ Sector Skill Councils (SSCs) – which have a poor track record in credible certifications, as is evident from regular newspaper reports of bogus certifications. Hence, an autonomous board “National Board for Skills Assessment and Certification (NBSAC)” (which had been proposed to be created two years ago by the Ministry of Skills Development, but till not been created), should be required to be attached to NCVET to perform the dedicated tasks of assessment and certification of skill training in the country. The newly created NCVET should now issue NCVT certificates like National Trade Certificate (NTC), National Apprenticeship Certificate (NAC) and others due to their brand value, and ensure recognition of such certification in recruitment rules of various organisations. The biggest failure of the National Skills Qualification Framework has been no real development of “Credit Framework” for multi-entry and multi-exit for students to provide horizontal and vertical mobility, which had been proposed in the 2011 design of the NSQF. A reality based credit framework needs to be developed by the new regulator on an urgent basis for all its skill courses to promote mobility between various courses. It must be mentioned here that NSDC was never a regulatory body because it cannot be, by its very nature. NSDC is a public-private partnership and because 51% equity is that of the private sector, it is essentially a private sector body, therefore, not competent to undertake regulatory functions. In the UK, SSCs were licensed by a government body called Sector Skill Development Authority and subsequently this work was transferred to UK Commission on Employment and Skills (UKCES). The work of managing/setting up of SSCs is the regulators job and hence NCVET must take a lead role in it. India has too many sector skill councils and rationalising them as per the National Industry Classification as proposed by the Sharda Prasad Committee is a key area of work that needs immediate action. The creation of NCVET can ensure harmonisation and provide a major (though not sole) regulatory authority for skill development in the country (at least for ITIs and NSDC-funded VTPs). For school-level vocational education, the Ministry of Human Resource Development is the regulator; for the 16 Union ministries running training, each of those ministries is the regulator. And of course corporate companies which conduct VET have no regulator. So there is confusion enough already. The creation of NCVET at least some confusion. However, it is not just institutions but the people who run these institutions that defines them. Hence the role of the leadership team in NCVET will be very important to achieve its objectives. Santosh Mehrotra is professor, Centre for Labour, JNU, and a lead author of the NSQF. Ashutosh Pratap works for Skills and Jobs Policy. He is an MBA graduate from ISB Hyderabad.